As Japanese companies take on young foreign talent from abroad for Internships, Japan achieve greater internationalization for its people and organizations through knowledge building aimed at new developments and expansion of overseas business for Japanese companies, and by changing awareness through working with foreigners and experiencing cross- cultural communication. Private-sector companies, industry associations, and non-profit corporations in Japan. Host companies are determined after matching by the Program Office and subsequent approval by the Screening Committee. pplicants satisfying all the following requirements are eligible. 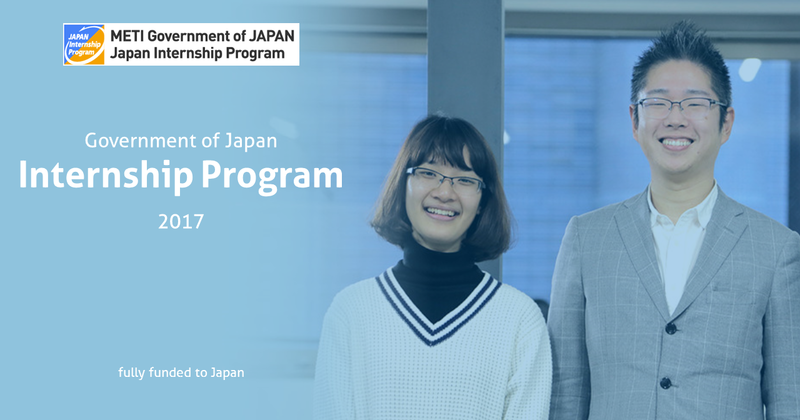 □Agreeing with the spirit of this program, and through the internship promoting internationalization of Japanese companies, developing the overseas business of Japanese companies, and working together to construct networks with overseas universities etc. □Holding citizenship of an eligible country or region. □Proficiency in Japanese language (JLPT level N3 or higher) or proficiency in English. □As a rule, applicants should be at least 20 years of age and no older than 40 as at June 30, 2017. □Applicants must able to submit a school or university enrolment or graduation certificate as well as a letter of recommendation from an affiliated university or institution etc. □Other requirements meeting any individual conditions stipulated by the host company. □Applicant must not have participated in this Program in 2016. □Registration is accepted online via the registration form on the Program Office website. □Selection is conducted through document screening, primary interview (native language/English/Japanese), and secondary interview (Japanese/English). □As part of the selection process, various certificates (university qualifications, language skills, etc. ), letters of recommendation, photographs, documents required for the visa, etc. are to be submitted individually.